Shortstop Erick Aybar was taken to a local doctor to have a chicken bone removed from his throat on Thursday. However, he has been cleared to return to the lineup. David O'Brien of the Atlanta Journal-Constitution reported that Aybar will play against the Philadelphia Phillies on Friday. The 32-year-old Aybar is hitting .174/.207/.205 in 38 games. According to MLB.com, he has just four extra-base hits in 132 at-bats in the final year of his contract. The Braves haven't had many things go right for them in 2016. 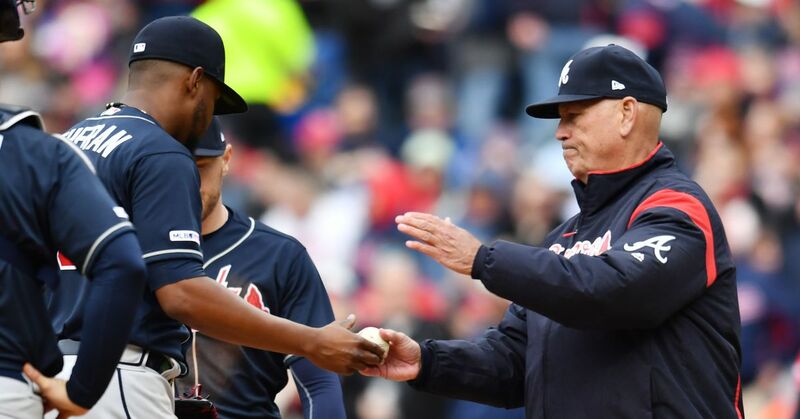 Their 10-30 record is tied for the worst in Major League Baseball, and they dismissed manager Fredi Gonzalez after his five-plus seasons with the team. Aybar isn't helping matters with his performance at the plate so far this season, but his presence in the lineup every day still could benefit the team. If he starts to get hot, the Braves can use him as trade bait this summer to add another prospect to a much-improved farm system. Atlanta's front office is looking toward the future, but the 25 players in the dugout are focused on doing the best they can in 2016. Aybar is a veteran who surely wants a chance to play for a World Series if he can stay on the field.